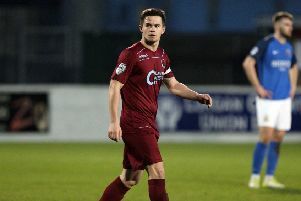 Midfielder Robert Garrett has signed a two and a half year deal at Mourneview Park. 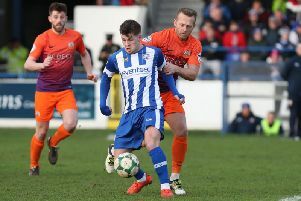 In recent weeks the Lurgan Blues have loss midfield duo Mark Sykes and Ben Doherty to Oxford United and Coleraine respectively, so the addition of Garrett will bolster their squad. “Robert is a player I tried to sign when he left Portadown to re-join Linfield in 2017,” boss Gary Hamilton told Glenavon FC website. “I’m delighted to get him over the line. He’s a guy with massive experience of this league and thankfully, now we’ve got him, I think he’ll add to us and be a big lift around the club which we need at this minute in time.